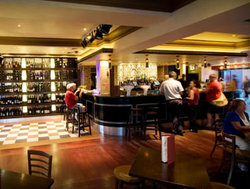 The Roxbury Hotel with its modern design and unique style facilitates corporate and private functions, live music, combined with first rate staging and sound equipment, an extensive dining and canapé menu, all enjoyed in a friendly and relaxed hotel atmosphere. Just a short walk down Cowper Street from Broadway and Glebe Pt Road, The Friend in Hand looks from the outside like many other Art-Deco era pubs … is hard to find but worth the effort! Step inside, though, and what you’re confronted with is something completely other… “More a Museum, than a pub”! nick-Knacks and memorabilia cram every available space through the front bar, from surf-skis to model aeroplanes and signs clearly lifted from medical establishments, photographs, oil paintings and oddments fill the entire bar. In the corner is a bird (not a 2 legged one) … It’s George the Sulphur crested Cockatoo who is the pubs PR Bird! George rules the roost at this backstreet Glebe pub. When George isn’t waddling up and down the bar ruffling his feathers and cracking open lemon seeds or resting on the shoulders of the pub’s regulars, he’s got his own massive branch to perch on in the corner of the room. The Friend in Hand is the original Sydney bar – there are more taxidermied animal heads, old street signs and countless other bits of weirdness than you can point a stick at. You’ll never know who’ll you’ll met at The Friend! We are open from 8am. We also have a Pick up...Drop off courtesy Bus for Groups, so give us a call and we will get you!! The Different Drummer is a cocktail and tapas bar located in the heart of Glebe's busy restaurant district. 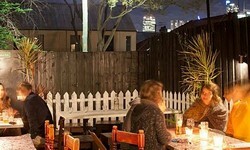 Located on Glebe Point Road, it is a great venue for after-work drinks, dinner, cocktail parties and functions. 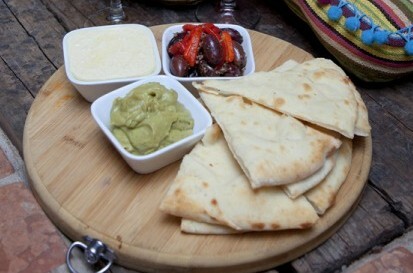 The Different Drummer has an extensive menu including regular tapas, side salads and desserts. The Different Drummer is a cosmopolitan cocktail bar, featuring some great cocktails, wines, and local and imported beers. Glebe just keeps getting better, filling up with new small bars. First there was Timbah – neighbourhood wine bar with a heart of gold – and now there’s Bar 99. The dark room out front is filled with giant melting candles, the drinks board is a mishmash of cocktails and beers. Great tunes pipe through the venue. 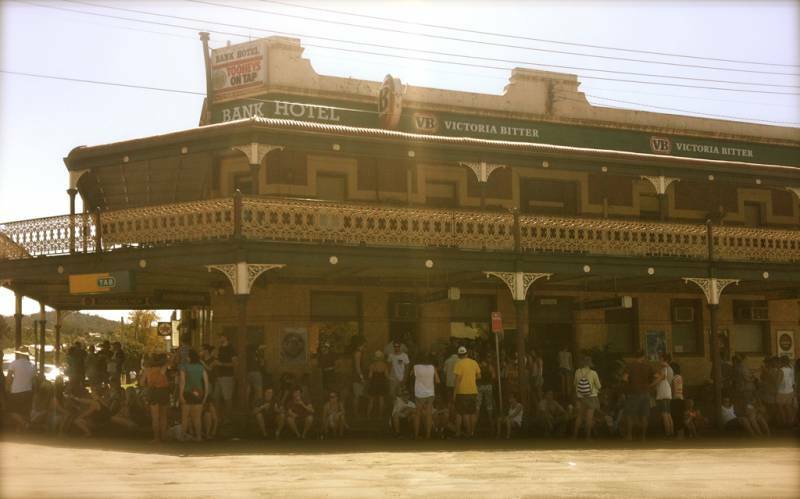 The Toxteth Hotel has been an iconic Glebe landmark for over 150 years offering a vibrant eclectic and friendly neighbourhood pub in the heart of inner Sydney,supportiing the community through sporting teams and events. 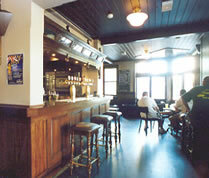 The Toxteth is home to top friendly service, with the best value for food and drinks in a relaxed atmosphere. The Hotel comprises of the main bar,beer & wine speciality store, the latest TAB facilities,out door courtyard with large screen projector,8 plasma large screens and new function space for private hire. Amazing view of the Sydney CBD views from our new VIP 1st floor terrace. Part of the O’Hara Hotel Group, The Nag’s Head Hotel is a traditional, old English style pub renowned for its friendly staff and patrons and its great atmosphere. From the flags of six different nations flying outside to the interior walls packed with memorabilia built up over the years, the Nag’s oozes undeniable character and charm. If you love your beer, you’ll be drawn to the main bar which boasts twelve beers on tap including several imported and boutique beers. We are slightly sports mad here at the Nag’s and cater for all sports enthusiasts covering all major sporting events on our# TV’s and big screen, making us THE place to watch the main events! We regularly run promotions and specials during sporting events and festive holidays such as the Rugby World Cup, NRL Grand Final, AFL Grand Final, International Rugby games, Melbourne Cup, St Patricks day, Australia day, Anzac day etc ensuring all those involved a cracking good time! 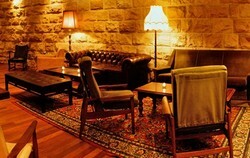 The multi award winning Stables Bistro, has an outstanding reputation and is home of the best steaks in Sydney. Our Head Chef Sam Taheri and his team have created a menu that is highly acclaimed by all who dine with us and has Sydneysiders coming back time and time again. Welcome to Spanish Tapas Restaurant, the exquisite taste of Spanish Cuisine. Experience the exotic flavours of Spain in a welcoming and relaxing atmosfere with live Flamenco shows, outdoor courtyard and a spacious indoor setting to comfortably cater for up to 250 persons. Our menu selection covers the most popular Spanish dishes: a wide selection of tapas, mains and the famous Spanish Paella. To accompany our food, we offer a wide varitey of drinks, local & imported beers, Sangria and an extensive selection of Australian and Spanish Wines. At Thai Space, not only do we create the very best Thai meals, but we also pride ourselves on creating the most amazing and delectable side dishes to round out your meal. Our fresh and delicious Prawn Dumplings are one of the many accompaniments we have to offer you to eat with your main Thai meal. 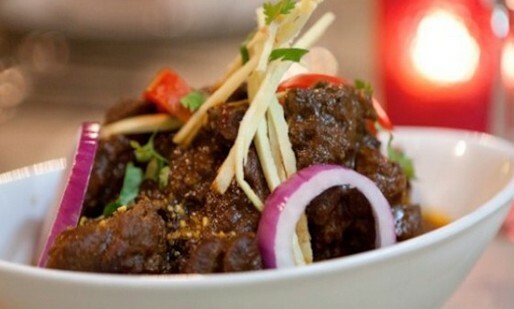 Our expertise in the catering and cookery backs since 1996 with authentic Nepalese restaurant in Mosman and now in the most popular eating out streets WILLOUGHBY ROAD, CROWS NEST & GLEBE POINT RD, GLEBE. Our staffs are living up with their own motto "High altitude food served with great attitude". 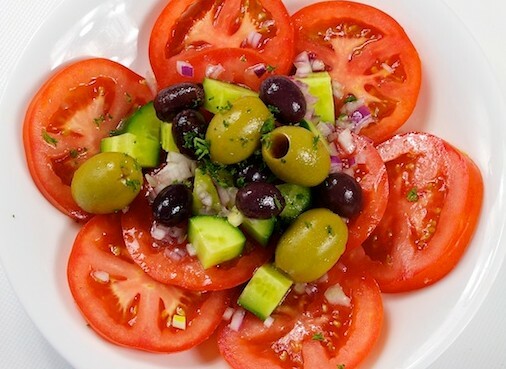 We use only the finest ingredients and we guarantee that our food has no MSG and no meat tenderizer. We serve innovative cuisine from different region of Nepal with genuine, friendly hospitality and with great efficiency.Nepalese food is as diverse as the country itself and its ethnic group. Keeping this in mind, Chef Kiran has prepared the menu with meticulous care, so his customers can enjoy the different varieties and flavours of Nepal here in Sydney. Since 1996 Kiran and his flavour has earned various raves and reviews in The Sydney Morning Herald, Good Food Guide, The Daily Telegraph, cheap eat, SBS food guide, and several local papers. Flavour of india has been serving the lovers of Indian gourmet food since 1990 and has always been standing out due to its culinary excellence over its counterparts. All aspects of the food we serve here are well taken care of. We offer excellent quality of food in substantial quantity in most affordable prices. Surender and his team welcome you to give a royal treat to your palate at Flavour of India Glebe tonight. Na Zdrowie was created to introduce Polish food to Sydney in a inviting atmosphere where people can experience and celebrate while savouring the flavours. Until the Partitions, Poland was one of the largest countries in the world, encompassing many regions with their own, distinctive culinary traditions. During the Late Middle Ages, the cuisine of Poland was hearty and spicy the main ingredients were meat (both game and beef) and grains. As the territory of Poland was densely forested, use of mushrooms, forest fruits, nuts and honey was also widespread. Although native vegetable foods were an ancient and intrinsic part of the cuisine the Renaissance began a period in which vegetables such as lettuce, leek, celeriac, beetroot and of course cabbage were more widely used. Na Zdrowie has won many awards and our food has been the subject of rave reviews. Our chefs strive to expand on our success and display our long culinary traditions as not only hearty and traditional but also to create diverse and delicious combinations. Given the wide variety of dishes & delicacies available (and some exotic ones at that) which Na Zdrowie has on offer you will find gastronomic treats to suit any palette. The Boathouse has an international reputation for serving the finest Australian seafood and Sydney's best array of oysters, always freshly shucked to order. Located in an historic, converted boathouse on Sydney Harbour’s Blackwattle Bay, the Restaurant and Bar offer magical, panoramic views, day and night, across the water to the Anzac Bridge and the Sydney Fish Market. Head Chef Colin Barker, Restaurant Manager Philip Stack and their experienced team ensure a relaxed but professional dining experience, encouraging you to share and enjoy the freshest produce, and often lesser-known species of fish, sourced from the Boathouse’s exclusive suppliers. At home Thai Cuisine will make you feel exactly that! 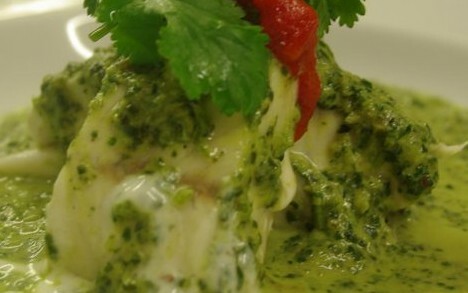 The restaurant serves the finest in authentic Thai cuisine in a relaxed and friendly atmosphere. 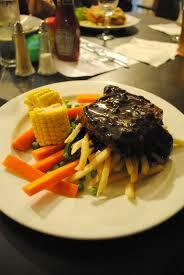 The service is unbeatable with a wide range of tantalizing dishes, cooked fresh in front of you. Open for lunch and dinner and also available for home delivery. Red Chilli Sichuan Restaurants is a well-established Sichuan restaurant group in many suburbs in Sydney and Melbourne. Providing Sichuan food lovers fine authentic Sichuan cuisine. 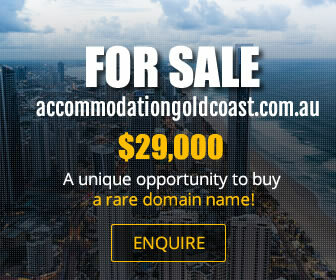 As what they have promised to Australian diners, their professional chef team will never compromise on quality of food. Hundred kinds of fine ingredients have to be purchased and imported from the special regions of Sichuan just to keeping the authentic flavour of their food. Tons of fresh produces are receiving directly from farmers and special suppliers to make sure every dish on their menu is ready for satisfaction. All red chilli outlets are finely designed and decorated in traditional Sichuan Style makes you feel the south western culture of China. Many of the decorations were directly imported from China in order to bringing diners the real authentic feel of Sichuan. A burst of spicy flavour from the combination of seafood and chillies will definitely inspire your appetite.